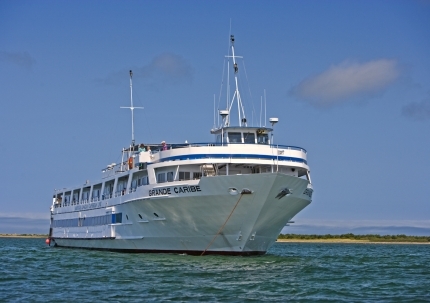 Blount Small Ship Adventures operates two American-flagged vessels that cruise the US and Canadian waterways with an all-American crew. Blount is a family run company that has been taking guests on cruises and going “where the big ships cannot” since the 1960s. In 2006, Luther Blount, the patriarch of the company, passed away leaving one of the Blount daughters to take the helm of Blount Small Ship Adventures. 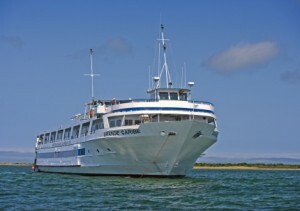 Their itineraries include the Caribbean, the New England Coast, the Great Lakes, and other mid-America waterways. They have a policy that does not allow children under the age of 14 to cruise on their ships. Since their vessels are registered in the US means their crew are American. Their employment pages state, “We’re always looking for more people with a passion for adventure and a dedication to service.” Blount offers full time employment, seasonal employment, and fill-in employment. Their employment pages also list a description of each crew position that is available with Blount.